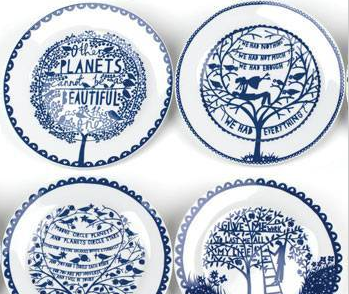 A beautiful set of four ceramic plates each featuring a different poem representing the four seasons. They will look delightful hung on a wall or used on treasured occasions. Rob Ryan is the artist responsible for reinventing paper cuts into an art movement worldwide. He is a British visual artist specialising in papercutting and screen printing.